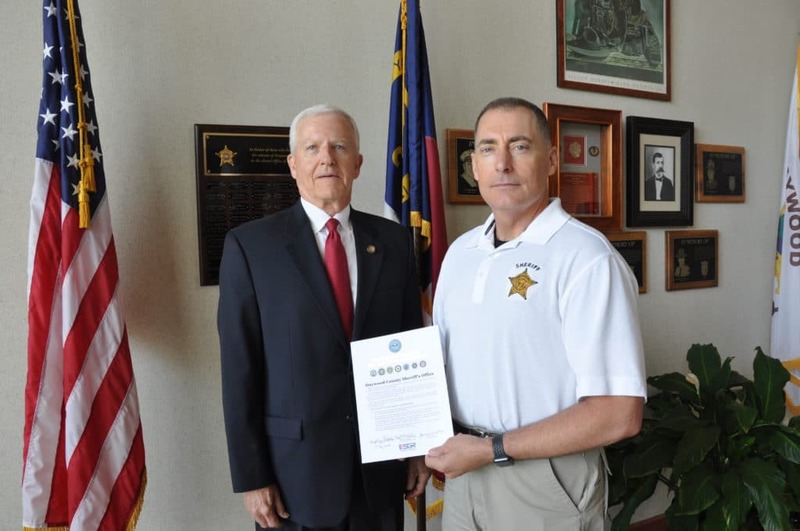 During a recent signing ceremony at the Haywood County Sheriff’s Office, Sheriff Greg Christopher signed a U.S. Department of Defense “Statement of Support for the Guard and Reserve.” The event was hosted by Ron Bogle, State Chair of the North Carolina Committee for Employer Support of the Guard and Reserve (ESGR), a 46-year national program of the Defense Department. Sheriff Christopher, a 22-year Army National Guard veteran/retiree, served in the first Gulf War. Also present to honor the signing event was Sergeant Chad Christopher, son of Greg and Sherri Christopher. Sergeant Christopher, home on military leave, is currently assigned to Army’s famed 10th Mountain Division, Fort Drum, New York.